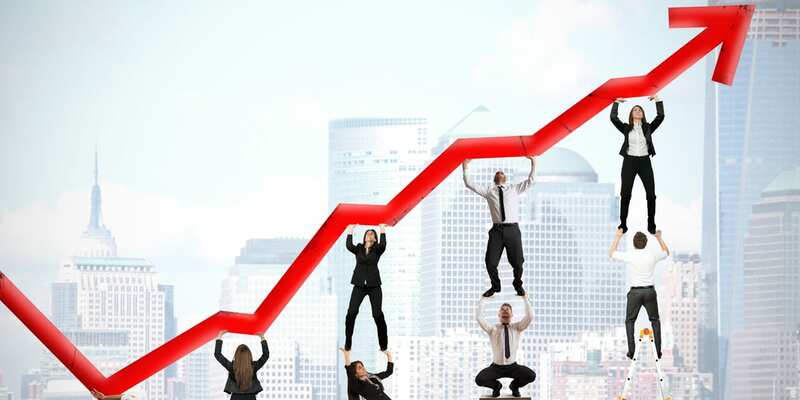 Sales plays a vital role in driving business growth. And, since it is one of the prime activities that generates revenue, sales executives have to be on their toes, innovate and experiment with new techniques to yield desirable results. 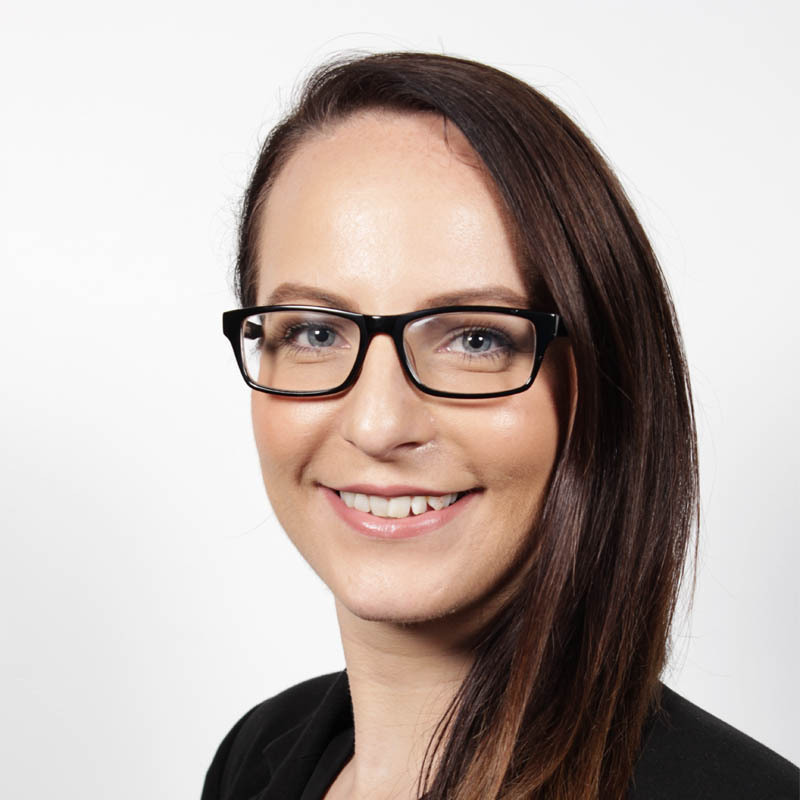 Sales execs are key members of any organisation – they are the ones in touch with the clients and play a very important role in building the customer experience. To be able to meet the daily needs of their job, carry out the entire sales cycle and innovate to increase the revenue stream could prove challenging for many. Automation to the rescue! Providing the right software or tool that enables your sales teams to identify new business opportunities and devise strategies around them while being able to carry out their daily tasks, is the way to go forward. We understand the growing pains of sales executives, especially since we are a small business ourselves. Hence, we have carefully picked and added numerous features in Quiddity that help sales executives in running their routine tasks seamlessly. Read on to know more. Long email chains are a norm for any official communication and missing even a single email puts sales professionals in a tight spot. With Quiddity’s Mail Drop Box feature, this task is handled seamlessly where the sales member can closely monitor all the emails and view them at a single place for a particular contact. With just a mention of the contact’s email address in the BCC or CC field, the system automatically links all the emails with it. If the sales team member wants to view all the emails from a single place, then they can access the activity records of that particular contact, as well. Flipping pages of a diary to recollect the last conversation or status of a lead is now a thing of the past. Quiddity’s intuitive dashboard is designed to offer deep insights of stages of all the leads/prospects logged in the system. Different entities such as the number of active contacts, active leads, active quotes, active sales orders and active invoices are present on the dashboard enabling sales professionals to track their performance and devise strategies quickly in case of any shortfalls. Creating reports out of the data is also just a click away. Today’s customer has access to social media and multiple other channels to purchase any product or service. Therefore, to survive the competition, companies and especially sales professionals have to ensure that they tailor an enhanced experience for their customers. Quiddity mobile app helps sales reps when it comes to offering quick and correct responses to clients on the go. The mobile sales workforce has access to contacts, leads, tasks and to-dos which enables them to offer a superior customer experience. It is a well-known fact acquiring a new client costs up to seven times more than retaining an existing one. It is also true that convincing a new customer requires more time and effort in comparison to pitching a new product/service to an existing one. 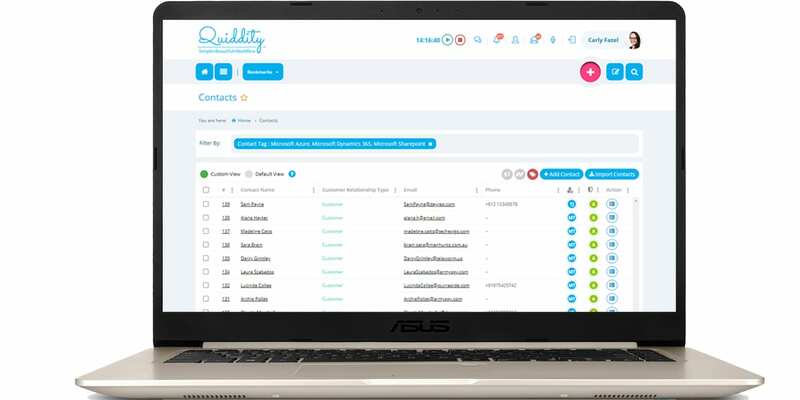 With the contact tagging feature of Quiddity, sales professionals can mark customers who may be potentially interested in other products/services. The facility to filter the contacts on the basis of their interested services within Quiddity, enables sales teams to identify cross-selling and up-selling opportunities and generate more revenue for the company. All sales professionals handle multiple clients. And to handle multiple customers and simultaneously get in new clients, takes some superior multi-tasking capabilities. Prioritisation of tasks and figuring out the amount of time spent on completing each task is paramount. With the stopwatch feature, sales professional can precisely log the time spent on completing each task. Time spent is automatically picked up by Quiddity and the executives just have to enter the task against which they want to log the time. Timesheet reports are available that enables authorities to have a glance at all the activities of the sales professionals. The flexibility of filtering the report on basis of employees and activities is also available giving authorities a clear picture of all the deliverables that the sales team has worked on. A report by CSO Insights states that 27% of the sales professionals believe that lengthy sales cycles decrease sales effectiveness to a great extent. Quiddity offers a holistic view of all the leads and prospects with several filter options that offers easy segmentation of the available database. Proper categorisation enables sales professionals to tailor strategies which help them convert leads/prospects to customers. Quiddity also represents the available data in the form of graphs/charts helping the sales professionals manage their sales pipeline. The intuitive pictorial representation makes data interpretation easy for the sales representatives and they can also keep track of their weekly/monthly/annual targets. Marketing teams are rigorously involved in creating and executing campaigns to augment brand reputation and generate leads. Sales team comes in to picture when the leads generated from campaigns need to be approached for an appointment. Quiddity, in integration with MailChimp, offers insights of all the campaigns in the form of reports. These reports contain relevant statistics such as total number of opens, clicks, bounces and unsubscribes that help sales professionals gain actionable insights and approach leads accordingly for conversions. Pertaining to changing customers’ preferences and increasing competition, Ann Johnson has correctly pointed out that “it takes months to find a customer, seconds to lose one”. Therefore, sales professional can never afford to miss or arrive late for a meeting. Quiddity backs up sales teams with a calendar view of meetings and reminders. Snooze functionality is also available to ensure that no appointments are missed. 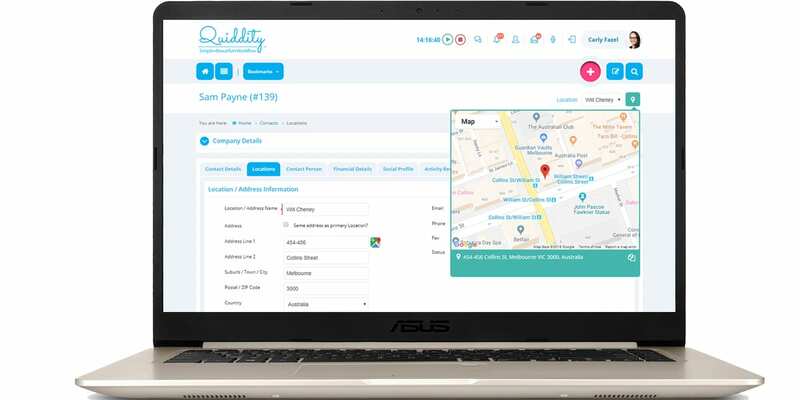 Quiddity provides the exact location of any contact when sales professional enters a certain part of the contact’s address. The functionality offered in integration with Google maps enables sales professionals to plan their time and route when planning for a meeting. There are many other features of Quiddity which enables sales professional to streamline their everyday activities and devise strategies to increase their customer base. At Quiddity, we strive to bring in the best in marketing and sales automation to our esteemed clients. To get a hands-on experience of these features, register for a free trial here.